Today, 8th of March 2019, is the International Women’s Day (IWD). This is a date that brings women (and men) together to fight for a more equal world and celebrate the political and social rights achieved. Although the United Nations began celebrating the IWD only in 1975, this day had been celebrated all around the world long before then. Indeed, the first National Women’s Day was observed in the United States, on the 28th of February 1909, to honour the 1908 female garment workers’ strike in New York. 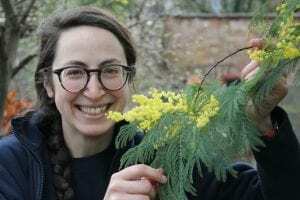 In Italy, where I am from, it is tradition to donate on the 8th of March a flowering branch of Mimosa (Acacia dealbata) to every woman who is dear to you. I grew up receiving and donating myself this amazing scented, fluffy yellow flower on Women’s Day. Usually, this is a gift that men who are important in your life would give to you as a symbol of appreciation and respect. However, it is also exchanged between women as a symbol of solidarity and friendship. But why this plant in particular? Women fought against fascism in Italy during the Second World War. History tells that the Mimosa was chosen by the Union of Italian Women (U.D.I) as a symbol of the women struggle for the 8th of March 1946. This was the first time that the Woman’s Day was celebrated in the country after the end of World War II. Mimosa flowers in February and March, filling with bright yellow colour most of the gardens of Rome, the South of Italy and the coasts of Liguria and Tuscany. These amazing landscapes inspired the three partisan women who proposed to adopt Mimosa as the symbol of the 8ht of March. The Acacia dealbata was also elected plant of the women because of its delicacy in the appearance, which goes with the capacity to grow in the wild in difficult soils. Native to Australia, this is a typical pioneer species and it could be invasive in the natural environment. 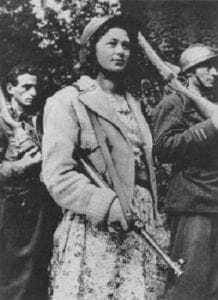 Mimosa was also the flower that partisans use to give to female couriers (Staffette), who risked their life in order to carry important information during the Italian resistance to the Nazi-fascism. If you feel curious to meet this special plant, come to the garden to admire the feathery leaves and smell its amazing flower!! A happy Women’s Day to you all!